The future of sustainability begins with today’s consumer. ZJT has been a partner of the Ethical Tea Partnership (ETP) since 2009. The ETP has provided training and monitoring of environmental, welfare, and working conditions of ZJT farms and facilities. The ETP helps members’s supply chains achieve Rainforest and Fair Trade certification. Many, if not all ZJT farms and facilities have benefited from the work of the ETP, Rainforest, and Fair Trade. Below are a few of the specific locations where sustainability initiatives have occurred over the past few years. 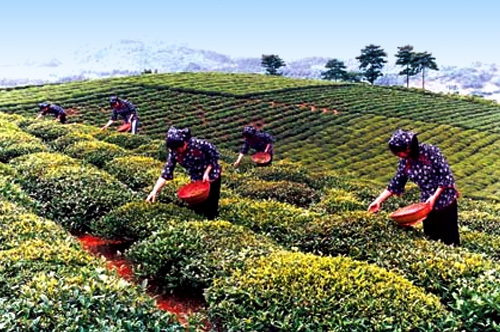 Jiulong Mountain Tea Base is Rainforest certified to produce over 1.2 million kg of tea. 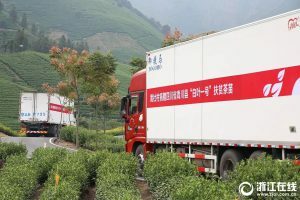 Working under Rainforest’s guidelines, Jiulong enhanced their sustainable agriculture practices and pesticide management. The programs included proper use of personal protection equipment (PPE) and responsible agrochemical application, storage, and disposal. 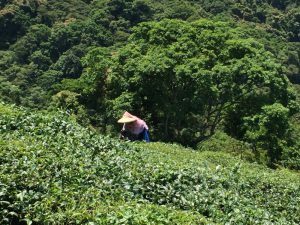 Anji Huada Tea Facility is an ETP participant and processes Rainforest and Fair Trade certified teas. 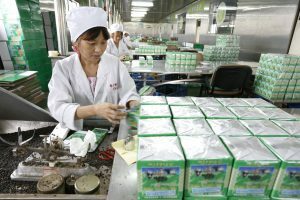 ZJT’s Anji Huada Tea Factory is a recognized participant in Ethical Tea Partnership programs. These programs focus on the safety and protection of employees, equitable compensation, and environmental protection practices. The Huada facility processes Rainforest and Fair Trade certified Gunpowder and Chunmee green teas.